25% Off Print Orders And Photography Mentoring – Celebrating Small Business Saturday! Can I be honest with you for a second? Running a small business is HARD! I once heard someone say that, “An entrepreneur will work an 80 hour work week just to avoid a 40 hour work week!” Oh boy can I relate! You what though, the long hours and all of the things that come along with running your own business…they are completely worth it because of YOU! I am so thankful for the new couples and families I meet every year. I’m even more grateful so for those who invite me to come back every year as their family grows. AS A WAY TO SAY THANK YOU! Regretting that you missed ordering one of your favorite portraits from your session? Or need a few extra prints to give as gifts this year? Email us at hello@AmberFosterSmithPhotography.com and we will waive the unarchiving fee and open your gallery back up for you through Monday! Do you know someone who is receiving a new camera for the holidays? Or maybe someone who already has a camera and wants to learn how to take great photos? Give the gift of learning with our one-one-one photography fundamentals classes. Each mentoring session is catered to the students goals and is great for all skill levels! Get your 2019 started off right with 25% for all fundamentals mentoring sessions scheduled January through March. 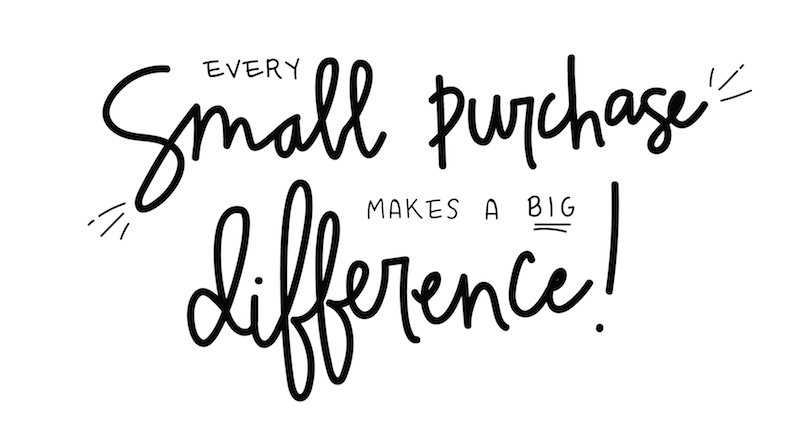 Do you know why I shop small businesses? Every purchase I make with them goes to support their family and their dreams. When my clients invest in AFSP that money goes right back into my community. It pays for my daughter’s dance classes at the Holly Springs School of Dance. It pays for my son’s martial arts classes through a local instructor at the Holly Springs Hunt Recreation Center. It allows me to support his passion for chorus and football and support Holly Spring High School. Oh and SURPRISE! I cut myself a paycheck this week and then we went and rescued a new puppy from the Orange County Animal Center! WHO ARE YOUR FAVORITE LOCAL BUSINESSES? Who are some of my favorite places to shop local? If I need a sweet treat fix Baked By Billie is my favorite go to for cakes, donuts and my favorite almond meltway cookies! We even treated Emma Grace to her own baking class and can’t wait to host Billie and one her cookie decorating classes at The Studio in December! Warrior Tech OCR is our family’s favorite place to work out and get in our obstacle course training! They have classes for adults and kids as well as track out camps! Whenever I need a gift I love popping into Gifted Boutique and Wrappery. Wendy has just about any gift for anyone in your family. Let’s just say there is already a Gifted bag under our tree! Thank you for your support of making my small business a dream! I could not do this without you! You are the absolute best!